The second generation of Spark device has been introduced by Tecno mobile, the new device is known as "Tecno Spark 2", it's the successor of last year's edition "Spark K7" smartphone. 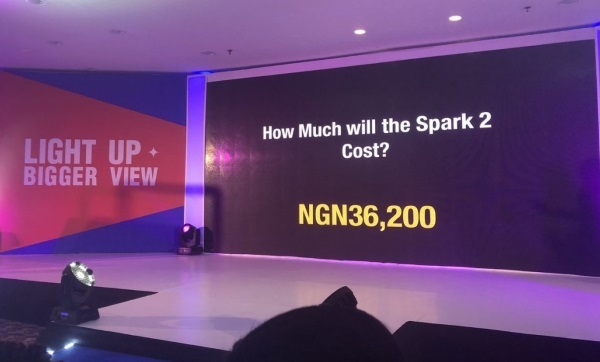 The Spark 2 was launched in Lagos Nigeria on the 8th of June 2018 and will be available in other African countries in the coming weeks. The spark 2 comes with the improvement in key areas such as display and aesthetics, security and battery capacity. One of the major highlights of the device is the trending full view display which dishes out an 18:9 aspect ratio. Also, there have been major improvements in the design language and camera as well. 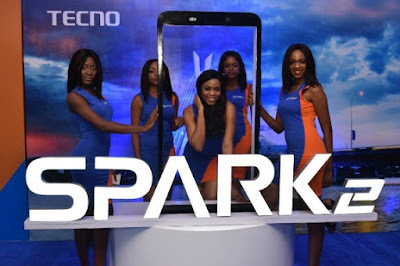 Let’s meet the TECNO Spark 2. The Spark 2 comes with a 6-inch display which is .5 inches bigger than last year’s edition (Spark K7 had 5.5 inches). As you would expect, the screen has a higher resolution @1440 x 720 pixels, which should display sharper images. 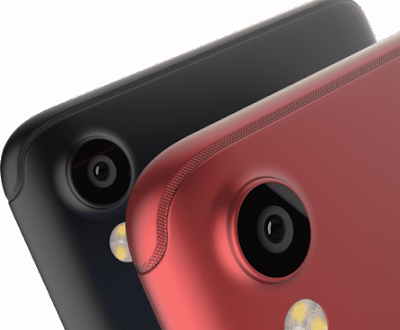 Speaking of the top corner, we can see the improved rear camera at the top left corner with the LED flash underneath. There’s a rear fingerprint scanner as well, just in case you don’t like the Face ID feature. It measures 7.5mm in thickness and will be available in Gold and Black colors. The Tecno Spark 2 offers those on a budget the full view experience with 18:9 aspect ratio. The screen stretches all the way to the sides, leaving no room for narrow bezels. Additionally, the top and bottom bezel has been drastically reduced as well. The massive 6-inch HD+ IPS LCD capacitive touchscreen is perfect for big screen lovers. In terms of details, it has a resolution of 1440 x 720 pixels and 268 pixels per inch density. With the TECNO Spark 2, you’ll get 75% screen and 25% bezels. When it comes to performance, the Spark 2 smartphone does not offer a significant upgrade when compared to last year Spark K7. The device is powered by the MediaTek MT6580WP which is a Quad-core processor having a 32-bit CPU architecture. The Quad-core processor clocks at the normal speed of 1.3GHz and operates on the 28nm process technology. In the graphics department, the ARM Mali-400 MP2 clocks at 416MHz for a smooth ride. In terms of software, the device runs on Google Android Oreo Go edition. It will be Tecno’s second device to come with Android Go after the Tecno F1 which was unveiled in April this year. It runs out of the box, a light version of Tecno’s latest HiOS V3.3 which should help with smooth experience. There’s just 1GB of RAM available for multitasking, this should be enough for light users since it runs on Android 8.1 Oreo Go Edition. In terms of storage, you get 16GB of space, however, you can always upgrade up to 128GB with a memory card. Battery life is one of the major features people look out for when making a buying decision. The Tecno Spark 2 is powered by a non-removable Li-Ion 3500mAh battery which should be able to last a full day with the highly optimized Android Oreo Go edition. If a good camera is one of the reasons you buy a phone, the Spark 2 smartphone might be your perfect smartphone. It is for those who love good camera phone but cannot buy the Camon Series. It has a 13MP rear shooter which comes with a lot of improved features according to Tecno. There’s TRI-LED flash underneath to help you out in low light environments. While the 8MP selfie shooter has f/2.0 aperture and takes really cute selfies. The Spark 2 is in direct competition with the Nokia 2, iTel A32F and the Xiaomi Note 5A. The Spark 2 will be available in online and offline retail stores across the country at an official price of #36,200. Note that price may vary with each store.